Quality Luxury Cars Oakville – Budds’ BMW Oakville. 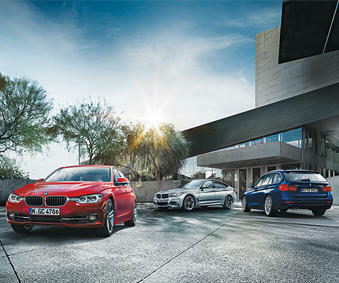 Budds’ BMW Oakville has a massive inventory of quality luxury cars in Oakville. We are a premium brand, and our vehicles are exceptional driving machines made from the highest quality materials and build with the most innovative technology in the auto industry. That, combined with our world class customer service from the moment you step foot into the dealership are the reasons why Budds’ BMW Oakville should be your first stop when searching for quality luxury cars in Oakville. Our knowledgeable and experienced representatives will meet with you to determine your needs and wants for a luxury vehicle, and we will be able to help you find that vehicle and get you behind the wheel of it. Our clients enjoy looking through our inventory of quality luxury cars in Oakville because our selection is so vast, and the beauty of our premium vehicles is very hard to ignore. Quality Luxury Cars in Oakville, Quality Service. We pride ourselves on providing our clients with high quality customer service from the moment you step foot into the dealership. Our customer service also crosses platforms into an online setting where our clients are able to search for quality luxury cars in Oakville on our website. Budds’ BMW Oakville has provided our clients with options online where they can schedule test drives, get their current vehicles appraised for trade in, compare vehicles, and get the vehicle’s carproof report. We have made it very convenient for our customers to shop for quality luxury cars in Oakville with our online inventory. Once you have found the vehicle of your dreams on our website, you can schedule a test drive or come into our Budds’ BMW Oakville dealership to get more information. Budds’ BMW Oakville takes pride in using only certified BMW genuine parts in all of our vehicles. When you purchase a luxury vehicle from us, you become part of our family, and we always put our family first. When you visit us to have routine maintenance done on your premium BMW luxury car, you can rest easy knowing that only the most experienced and knowledgeable service technicians will be looking after your car. Our clients can take advantage of our in house bistro cafe, or kick back and catch up on some work in our business lounges while your vehicle is being serviced. When you purchase quality luxury cars in Oakville, you will receive quality and luxury customer service. If you are living in the Oakville area and you are wanting to purchase quality luxury cars in Oakville, we recommend that you come into Budds’ BMW Oakville today. Our representatives will be able to help you find the luxury car of your dreams and get you behind the wheel of it. Please feel free to contact us via phone or by email to set up a test drive.